Step 1. Go to the Interviews tab. Step 2. 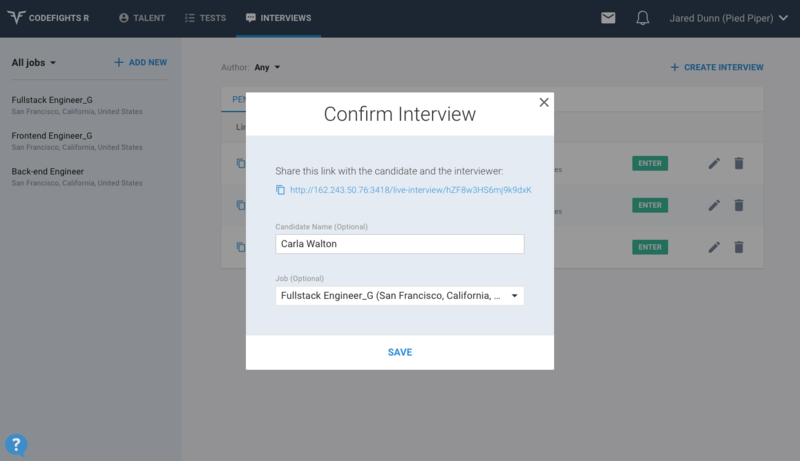 Click the + CREATE INTERVIEW button. 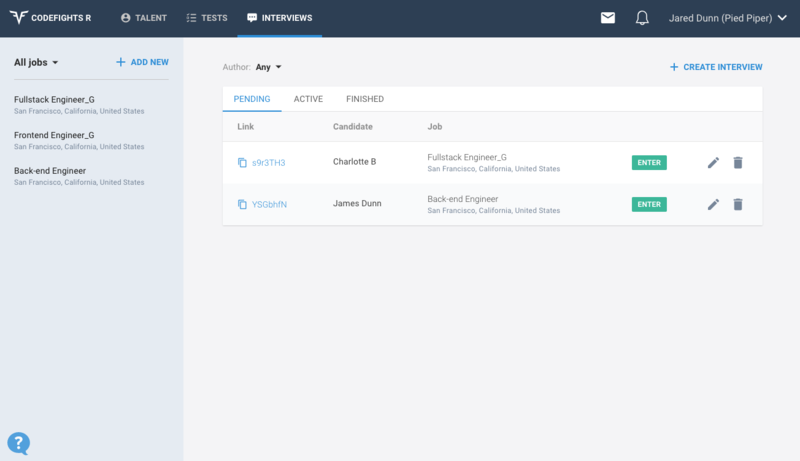 It creates an interview session right away! Step 3. 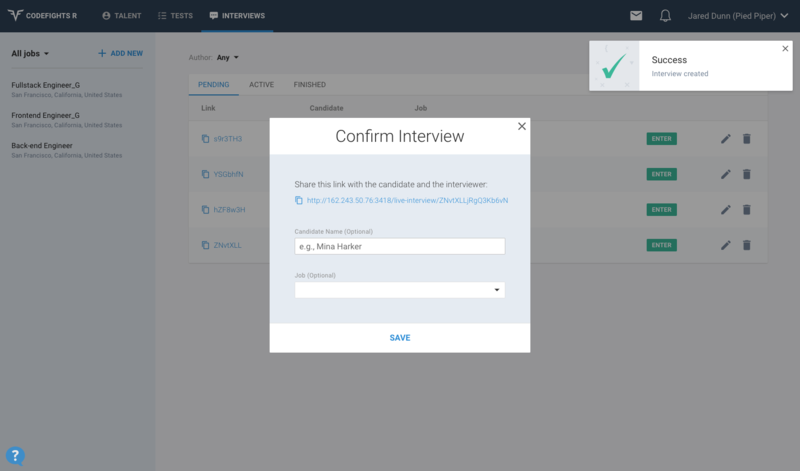 (Optional) In the Confirm Interview pop-up, add the candidate’s name and the job they’re interviewing for. Then click SAVE. This makes it easy to refer to it later. You can also add this information later by clicking the Edit icon on your dashboard.